This recipe for sliders couldn't be easier or more delicious. You simply mix up the seasoned hamburger meat and pop it in the oven for about 15 minutes. Once the meat is cooked, slice it into squares for serving the sliders. If you are pressed for time, you can make the meat the day before and just wrap the assembled sliders in foil to reheat before serving. 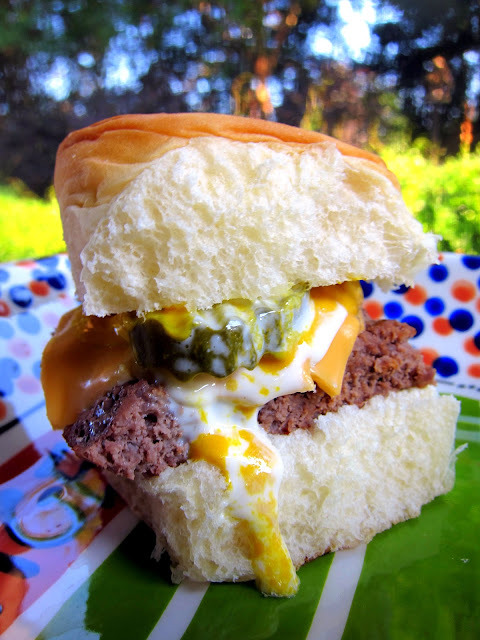 We topped them with American cheese, pickles, mustard and mayonnaise. 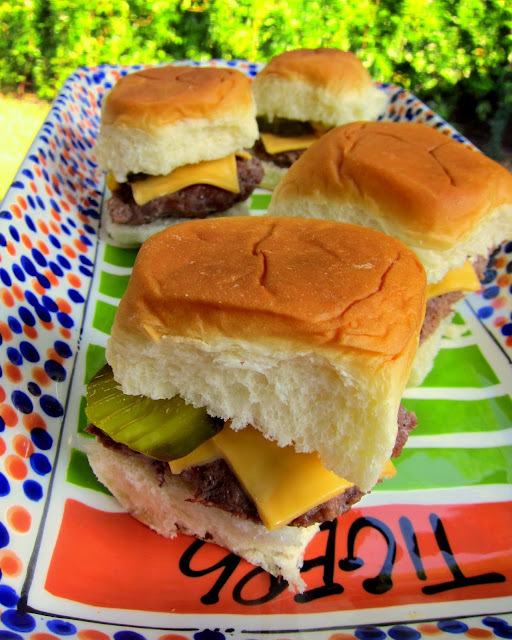 The sliders were a huge hit at our tailgate, and they were so much easier than grilling in the parking lot. This recipe makes 12 mini burgers. Depending on your crowd, you might want to double the recipe (they went fast with our crowd). Don't delay; whip up a batch for the big game this weekend! In a large bowl combine hamburger, paprika, onion powder, garlic powder, brown sugar, salt and pepper. Press into 9x13-inch pan. Bake for 15 minutes. Drain fat and cut into 12 squares. Place squares on rolls and top with desired toppings. Oh my gosh can you send one via the internet to me? I just want to eat it up! I'd have to add steamed onions, just because that way they are like really good Krystals. Made them before high school football game-sectionals-whole family loved them and they were easy. It was amazing that the beef in the 13x9 pan shrunk down to the EXACT size of the outer dimensions of the rolls when cooked. Fought over leftovers after the game. Husband at grocery buying ingredients-he wants your crack burgers made into sliders now! Thanks for sharing your great recipes. They sell the LSU version on their site. Made these last night with the Morton's Million Dollar Burgers beef.